The MIV Imaging Venture Laboratory is part of the team responsible with the implementation of a new and attractive master program called “Analysis, Modeling and Simulation Techniques for Imagery, Bioinformatics and Complex Systems” (abbreviation: ITEMS). 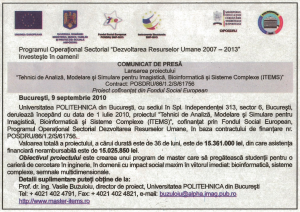 This master program is a research-oriented one and the main goal of the project is to create a high-level European and American-like environment for the future Romanian researchers. 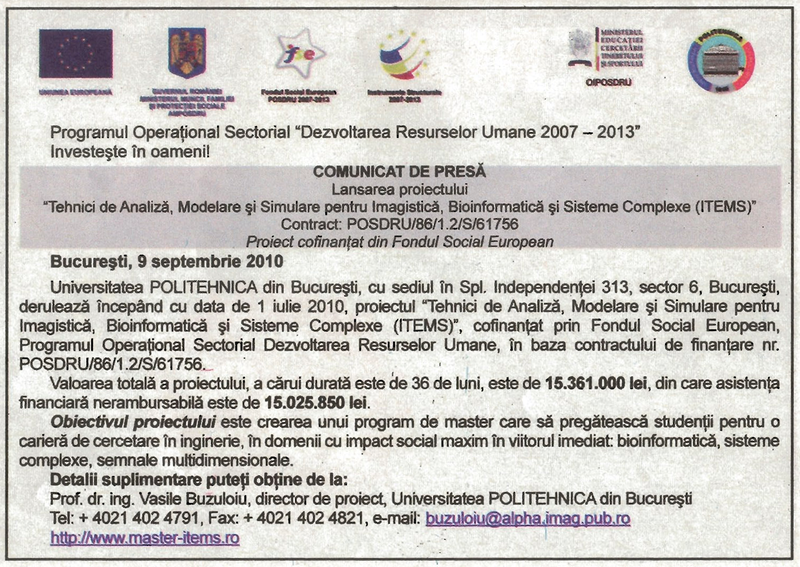 The master program will be implemented in Politehnica University of Bucuresti, Romania, and Transilvania University of Brasov is one of the two partners, along with the University of Oradea.